Most Sundays I cook a large roast chicken and use it for meals throughout the week. Now we have Eleanor it means I can quickly prepare meals for the two of us while my husband is at work. 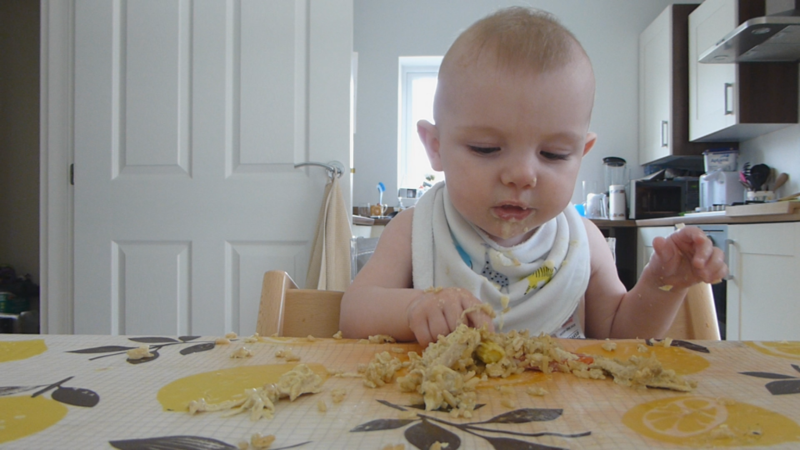 Find out how Eleanor is doing with baby led weaning. On Sunday I’ll make a roast dinner with lots of veggies and then for the next 3 or 4 nights we’ll have chicken with something else. I’ve been experimenting with different meals but these 3 are my favourite. It makes either 3 or 4 extra meals depending on the size I get from Tesco. I always work out what the biggest chicken is I can get for the cheapest per kg. So if they’re all £4 then I’ll pick the one that weighs the most. The risotto is always Eleanor’s favourite as she can just pick up a handful and shovel it into her mouth! 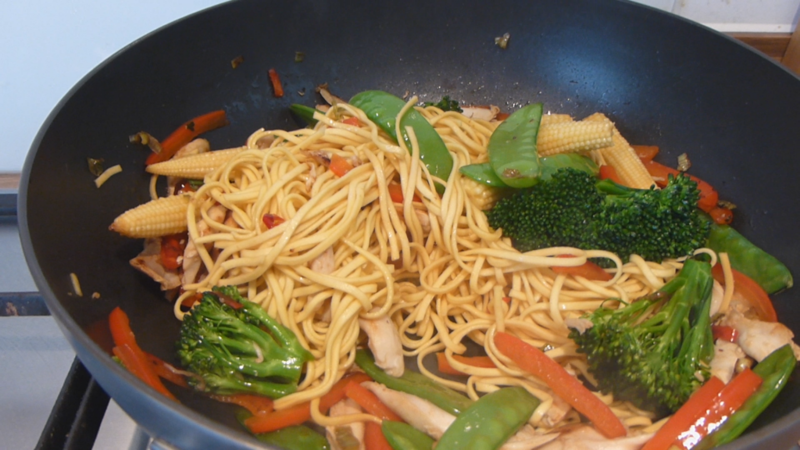 She isn’t too keen on sticks of roasted vegetables but actually seemed to like them stir-fried. She’s also partial to these BLW pinwheels! What do you do with leftover roast chicken?